Have you ever driven past a sign and had to take a second look because you couldn’t believe someone made that mistake? You’re about to experience the same thing. These grammar mistakes are all the exact same level of “wtf”. Laugh along, but keep in mind that it could be you someday if you’re not careful or don’t use grammar correction online! These grammar mistakes are sure to make you raise your eyebrows and wonder how anyone could have proofread that badly. Hopefully, they’ll also warn you off the possibility of making the same mistake. Due to an unfortunate lack of indenting, one sign read “hunters: please use caution when hunting pedestrians using walk trails”. One sign read “No, popsicles!” Surely, the popsicles were deeply embarrassed at this chiding. Demonstrating the importance of punctuation, one sign read “No trespassing violators will be prosecuted.” Ah, the importance of a semicolon. How about the Facebook post that read, “Don’t wear black people.” Certainly, avoiding the wearing of people is a good piece of advice, but “don’t wear black, people” would have been more specifically applicable. More Facebook posts with AWOL commas: “Time to eat children” captioning a picture of a grill, and “Man bacon makes everything taste good”. One parking sign read, “Violators will be towed and find $50.” Finding $50 sounds good to us. A lack of punctuation once again led a fast food sign to advise, “Spongebob is here hiring managers”. A sign at a hotel likewise read, “We remember those who have served hot breakfast”, demonstrating less respect for service members than they though. “Quite please: exams in progress” read one examination sign. We hope it wasn’t in spelling. A sign with an unnecessary comma led to the advertising of ‘fresh brown “eggs”’. One brand of learning software was billed as “so fun, they won’t even know their learning”. We hope their learning will be better than the ad writer’s was. How about a plaque for a teacher that read “Your the best teacher ever”? One newspaper ran the headline “students cook and serve grandparents”. A comma would have injected some much-needed separation into those two parts. Spotted in a safari park was a sign that read “elephants please stay in your car”. Well, the elephants are certainly coming far these days to be able to drive. One sign said “mistakes are proof that your trying”. A deliberate and clever example, or a particularly egregious mistake? You decide. Finally, one fast food restaurant boasted “over ten billion severed”. We hope the severed ten billion are all right. 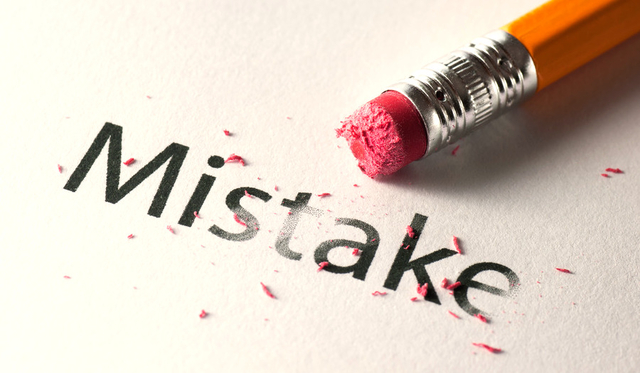 Why do these most common grammar mistakes happen? The reasons are twofold: first, because people fail to proofread, and secondly, because people don’t know the rules of grammar. Proofreading fails are easier to make than you think; the gist is that you know what you mean, so you see what you expect. It’s easy to read something as meaning “let’s eat, children” when you wrote “let’s eat children” – you simply don’t know to read it any differently. By contrast, the person reading doesn’t know what you mean, so they’ll jump to the most obvious conclusion – which might be the latter. Lack of grammar knowledge is less common in published advertising and books, but it can still happen. Make sure you know your stuff before you set out! Reviewing the rules can help you make sure you don’t end up on a list like this. In the end, the best thing you can do for grammar is to get a second set of eyes. Sometimes that set of eyes will be digital. A grammar checker can really help you understand grammar better, and it can also proofread your work for you. You’ll get all the help you need with a good online grammar checker. To avoid winding up on a list of hilarious grammar mistakes, use our English grammat checker and become a grammar pro!